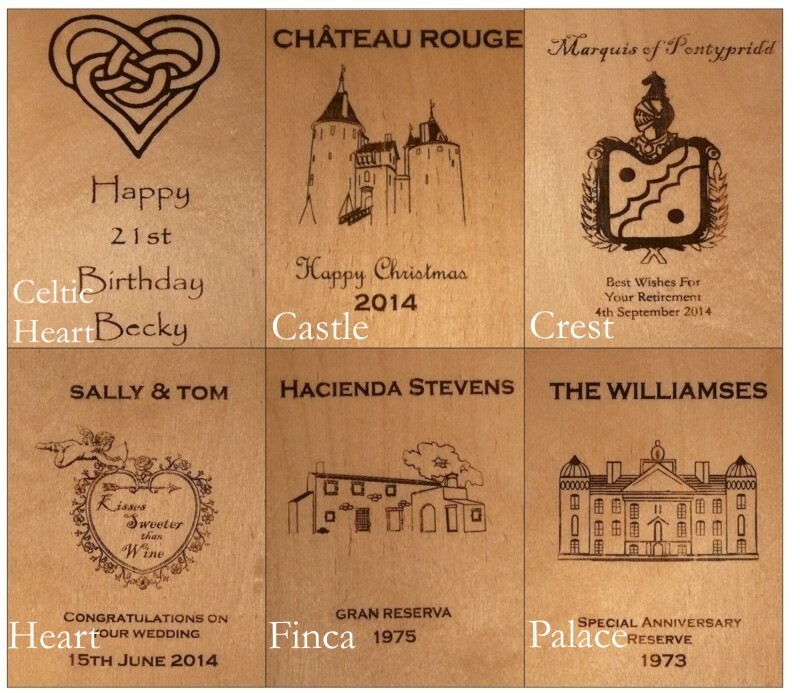 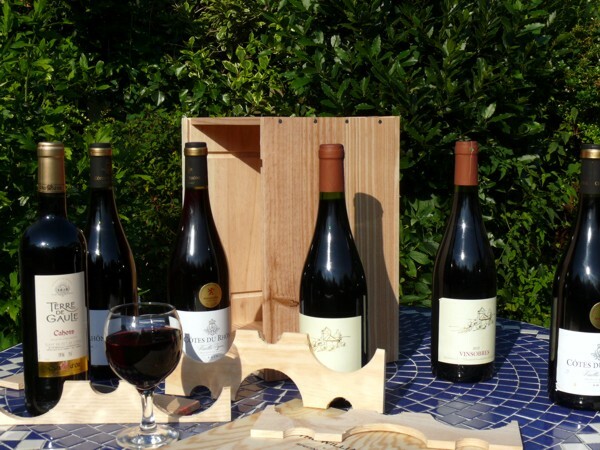 Personalised wooden wine box for six bottles. 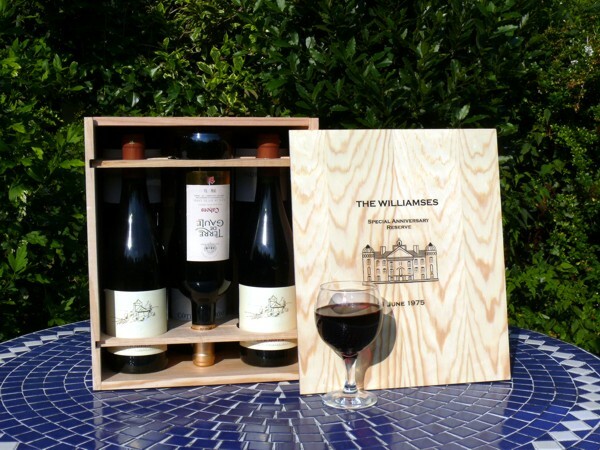 Our six bottle wine boxes are made to hold standard Burgundy bottles, but will also hold standard Bordeaux bottles (the most common type, also used for example in La Rioja). 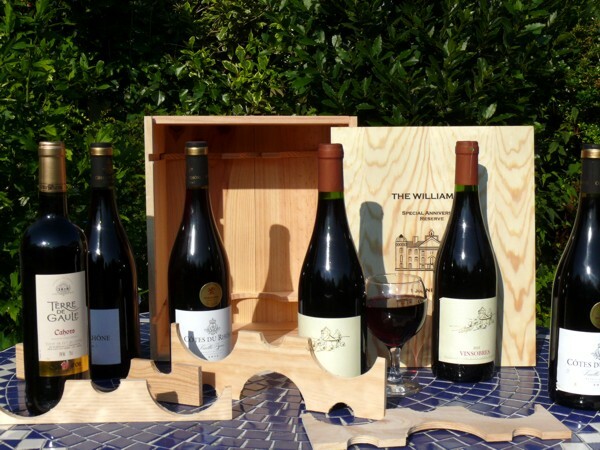 They have sliding lids and ‘guillotine’ style removable supports to hold the bottles in place.